The CK3100 LCD uses Parrot’s signal-processing know-how and combines the best sound-reduction and echo-cancellation technology. Voices are rid of any interference and your calls benefit from excellent sound quality! The Parrot CK3100 LCD connects directly to your vehicle’s audio system. Your conversations and the voice menus are broadcast over the speakers. If you’re listening to music, no need to do anything to take a call – it stops automatically and starts again at the end of your conversation. 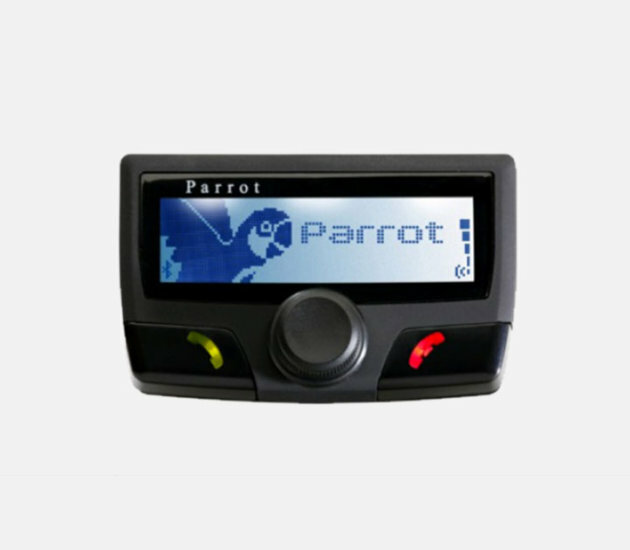 Thanks to its LCD screen, the Parrot CK3100 directly displays your mobile telephone’s information: incoming call number, contact list, history, and more. The ultra-intuitive interface has three buttons, and can be set up and positioned on the dashboard however you want.